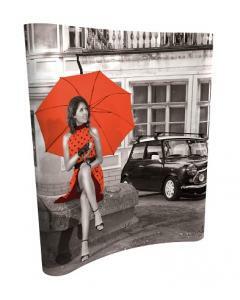 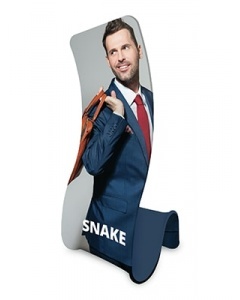 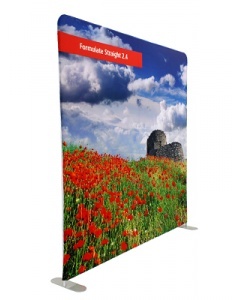 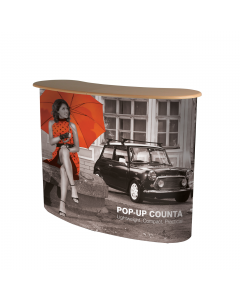 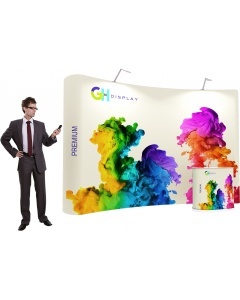 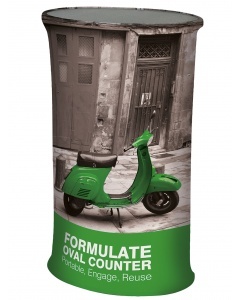 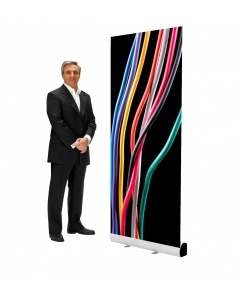 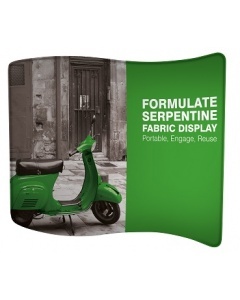 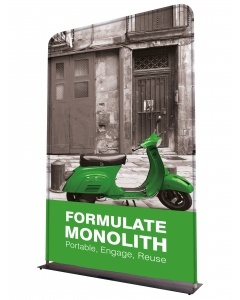 This streamlined literature display is robust and portable making it ideal as a permanent feature in your showroom or reception area, but equally as practical for taking along to exhibitions or trade shows. 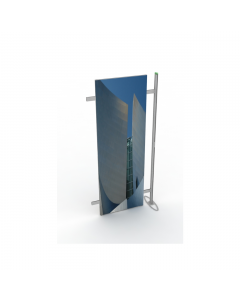 It has 10 individual A4 curved wire pockets. 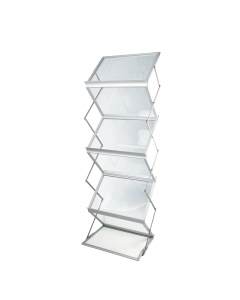 For easy storage and transport it breaks down into three pieces, which all fit neatly into the robust carry bag provided. 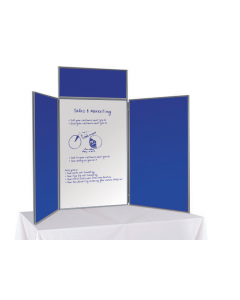 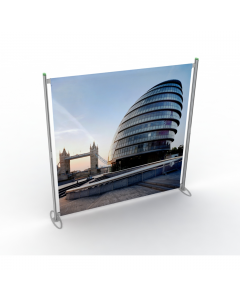 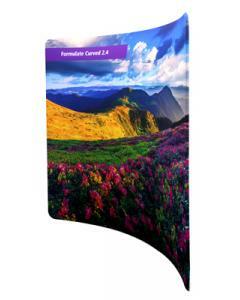 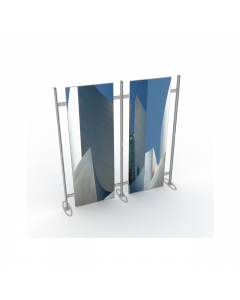 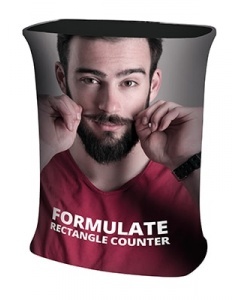 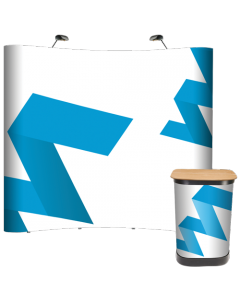 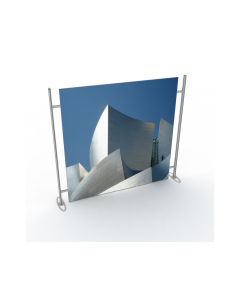 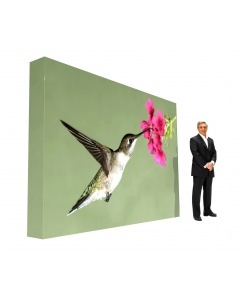 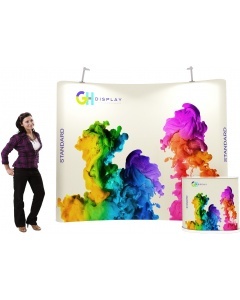 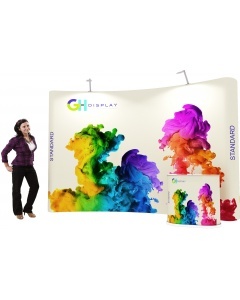 There is ample space for your company brochures, leaflets and other sale literature and it is a contemporary addition to compliment exhibition stands and trade show displays. 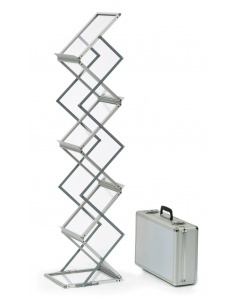 It comes in a silver finish. 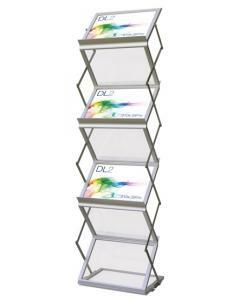 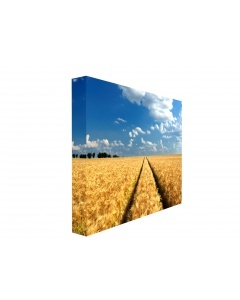 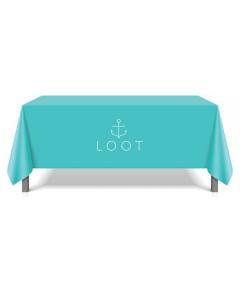 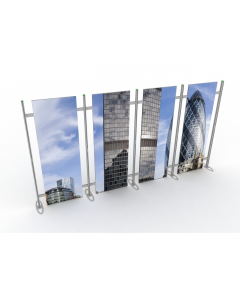 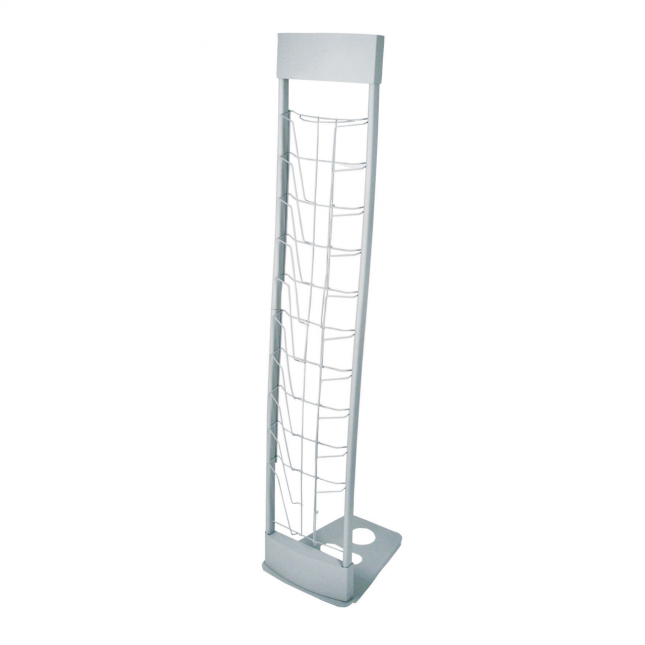 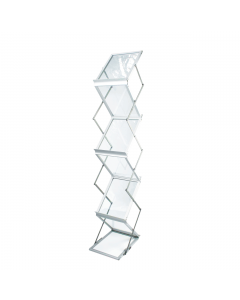 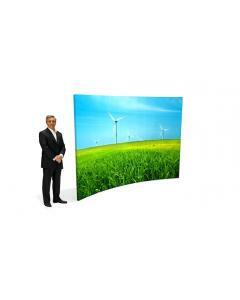 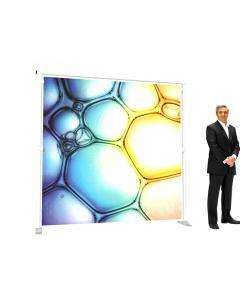 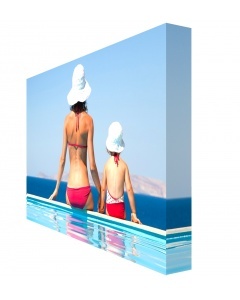 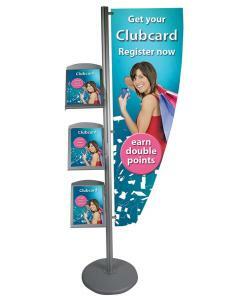 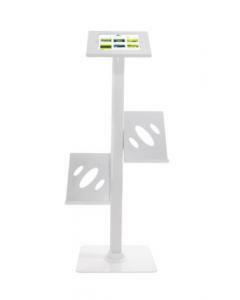 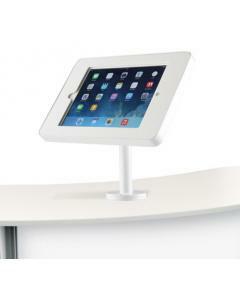 Why choose the 10 Up Deluxe Literature Stand? 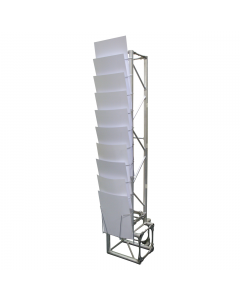 Download a technical specification PDF below.